Greater Manchester Health and Social Care Partnership (GMHSC Partnership) aims to deliver rapid savings and identify how the cloud can support the region’s devolved vision for integrated health and care services through work with public sector IT specialists Shaping Cloud. The company, which has already supported the cloud ambitions of global digital exemplar trusts Salford Royal and their fast follower Pennine Acute, is undertaking an ‘asset review’ that will baseline current infrastructure used across 20 NHS and local government organisations involved in the GMHSC Partnership. This will identify what software applications are in use across the region and highlight opportunities for more cost-effective procurement practices to reduce duplication and leverage economies of scale for this landmark initiative. The GMHSC Partnership is made up of NHS organisations and councils in the region, and is tasked with overseeing devolution and taking charge of the £6bn health and social care budget as well as a £450m transformation fund. 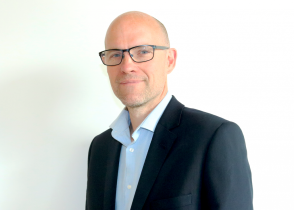 “Seeing what technology is in use across the public sector should mean the review will pay for itself in procurement efficiencies”, according to GMHSC Partnership interim chief digital officer Stephen Dobson. 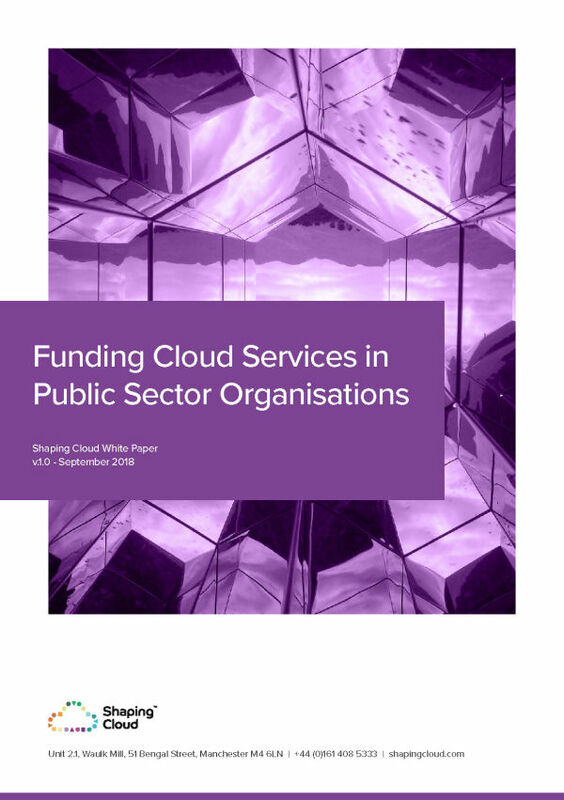 “However, it is the wider benefits of cloud adoption that are more attractive,” he says. To help set out this future state, Shaping Cloud is conducting an enterprise architecture mapping exercise to identify current regional infrastructure. It will then develop a costed plan on what applications and storage can move to the cloud, indicating further potential financial savings and productivity benefits. The asset review, scheduled for completion in the spring 2019, will also identify and address the need for organisations to have an information governance compliant asset register, as well as support workforce training and development needs that come with wider use of the cloud. For Dobson, the cloud should mean greater opportunities for flexible working and collaboration between the multidisciplinary teams that are increasingly required to deliver the region’s integrated, person-centred care model. Overstretched IT teams will also benefit, spending less time managing multiple applications and infrastructure. Once the infrastructure is in place, Dobson says the region will have a platform: “Where it will be easier to collaborate and improve the delivery of health and social care services. 2 “It’s vital that we change how we use technology across our services. We must deliver on this, for the benefit of patients and our health and care workforce. Chosen for its experience in public sector IT, hybrid cloud and digital transformation, Manchester- based Shaping Cloud has already worked with some of the region’s health and local authorities. It is now set to support Mayor Andy Burnham’s vision of Manchester as the UK’s leading digital city and deliver ‘the greatest and fastest possible improvement to the health and wellbeing for the 2.8m people of Greater Manchester’. Shaping Cloud will set the building blocks for appropriate and phased use of the cloud, which will then be taken forward across the region with the support of the region’s digital board, which comprises senior leaders from Greater Manchester including GMHSC Partnership chief officer Jon Rouse, Salford Royal NHS Foundation Trust CEO Sir David Dalton, and Manchester University NHS Foundation Trust CEO Sir Michael Deegan. Shaping Cloud Founder and CEO, Carlos Oliveira, said: “Being selected as the preferred supplier to GMHSC Partnership is testimony to what we can and shall deliver. We are privileged to work in an industry where our products and services have the power to improve people’s lives. “Our work with the partnership will create a blueprint for a modern IT infrastructure at an organisational, local and regional level. Leveraging the latest technologies, it will allow organisations to collaborate more effectively and be an enabler for the delivery of better services to the people of Greater Manchester. The work sits alongside activity that sees Manchester improving network connectivity through early adoption of N3-successor the HSCN, investment in full fibre networks, and greater information sharing via its successful Local Health and Care Record Exemplar bid, which itself may benefit from using the cloud.